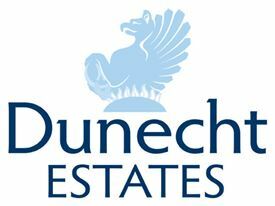 Dunecht Estates is a diverse rural property based business extending over 53,000 acres in Aberdeenshire and Kincardineshire in North East Scotland. The business covers seven separate Estates, the home Estate of Dunecht, Raemoir and Campfield, Dunnottar Castle, Forest of Birse, Edinglassie, West Durris and Bucharn. The Estates are owned by The Hon Charles Pearson, the younger son of the late Third Viscount Cowdray, and trusts for his two children. Dunecht’s business interests include farming (in hand and let farms), forestry, field sports, minerals, let houses, commercial lets and tourism. There are no jobs with Dunecht Estates at the moment. Sign up to email alerts below to get notified when new jobs are added. Get the latest jobs from Dunecht Estates sent direct to your inbox!